If another Sandy hits a year or three from now, few New Yorkers should have to call tent cities and high school gymnasiums home. Instead, they will be living inside shipping containers. For the past five years, the Bloomberg administration has been quietly developing a first-of-its-kind disaster housing program, creating modular apartments uniquely designed for the challenges of urban living. 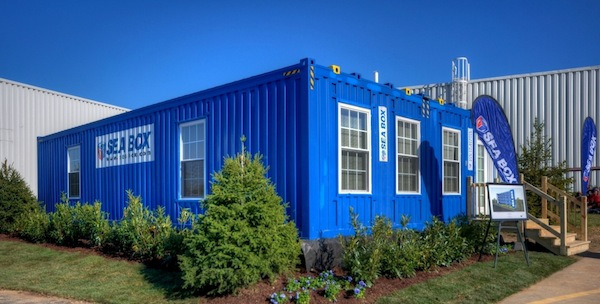 Carved out of shipping containers, these LEGO-like, stackable apartments offer all the amenities of home. 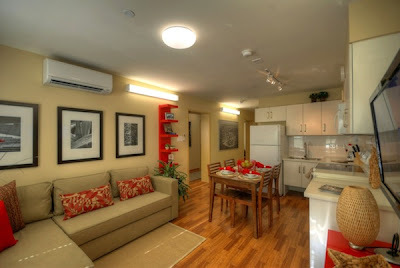 Or more, since they are bigger, and brighter, than the typical Manhattan studio. 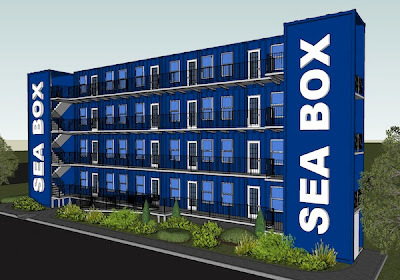 It’s the FEMA trailer of the future, with Sea Box already building the prototype. “It’s nicer than my apartment,” said David Burney, commissioner of the Department of Design and Construction. Along with the city’s Office of Emergency Management and at least a dozen other city, state and federal agencies and private contractors, Mr. Burney has been trying to figure out how best to house the tens or even hundreds of thousands of New Yorkers who could find themselves without a home following a major disaster. I think this is set up to favor the use of cargo containers. If FEMA can turn itself around with Sandy, then it looks like they can handle just about anything. I wonder if they are preparing for the Mayan prophesy in December?